Vasant Panchami sometimes referred to as Saraswati Puja, Shree Panchami, or the Basant Festival of Kites is a Sikh and Hindu festival held on the fifth day of Magha marking the start of spring and the Holi season. 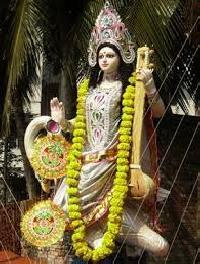 On this day Hindus worship Saraswati Devi, the goddess of knowledge, music, art and culture.For Sikhs, in the Harmandir Sahib, Amritsar, on the day of Vasant Panchmi, musicians start the music by singing Basant Raga. This practice continues up until the first day of Vaisakh when Basant Rag is no longer used.A fair normally held at the famous Sikh shrine of Guru ka Lahore in Bilaspur district to mark the occasion of the marriage of Guru Gobind Singh Ji on Vasant Panchami. 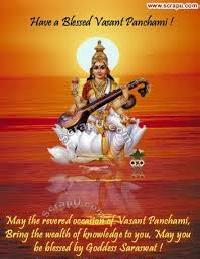 Vasant Panchami is the first and more minor of two spring themed festivals in Hindu culture. 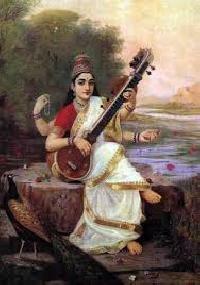 Vasant Panchami initiates the spring festive cycle and heralds its summation that occurs with Holi.The seasonal aspects of the festival are more significant in Northern India due to the sharper contrast between the winter and the spring,however the festivals religious and cultural significance are emphasized across all celebrating regions. In ancient Indian literature, Vasant Panchami is associated with Shringara Rasam and the festival was celebrated in this tradition.Celebrations today still honor Kamadeva, his wife Rati, and his friend Vasant. During the ancient period when Vasant Panchami was more oriented toward Kamadeva, dancing girls, dhol players, and other celebrants would come to the royal Bakshis palace to create an informal durbar with the royals. Specially made Vasanti clothes would be worn by the dancing girls and younger royal ladies, consisting of a skirt, blouse, and pink or saffron sari with tiny red square or circular dots. This clothing would be further embellished with gold and silver borders and brocade work. On the celebration day the dancing girls would collect flowers and mango leaves a reference to one of the love arrows of Kama Dev from the garden of the Bakshis palace. The flowers and mangoes were arranged in brass vessels and the informal durbar would be set up. The occasion was marked by the singing of various ragas usually on the theme of love especially songs involving Krishna and Radha or the gopies of Brij Bhoomi. At the conclusion of the celebration, the flowers would be sprinkled with red gulal and the dancing girls would apply it to their cheeks. They were then gifted a sum of money by the royal ladies.Today this is not practiced, and the festival is oriented toward Sarasvati, however Kamadeva remains an important figure as feasts are held in his honor during Vasant Panchami,and the theme of love remains an important part of the festival with this being the most popular day of the year for weddings in some areas. 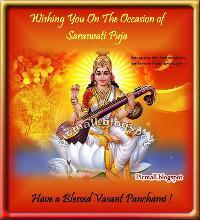 The festival of Basant Panchami is dedicated to Saraswati, the Goddess of Wisdom. 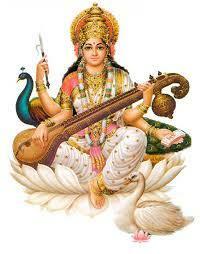 According to the Hindu mythology, the goddess symbolizes constant flow of knowledge and wisdom. 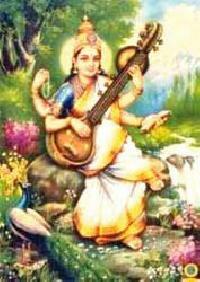 Vasant Panchami is also believed as the birthday of Goddess Saraswati. 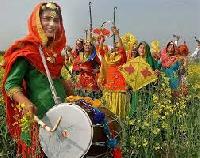 The spring festival of Basant Panchami is especially celebrated in the institutions of learning. As Saraswati is the goddess of learning, Students observe the blessings from Maa Saraswati. Spring is the season when crops are fully bloomed, so people also celebrate this occasion by flying kites. During Vasant Panchami, the advent of spring is felt in the air as the season undergoes change. New leaves and blossoms appear in the trees with the promise of new life and hope. Vasant Panchami also announces the arrival of another big springtime event in the Hindu calendar Holi, the festival of colors.